Today was the last day of ICE ASTD 2013, I selected some sessions that focus more on how the rapid changes in the digital world will affect the Learning organizations. I attended two great sessions. 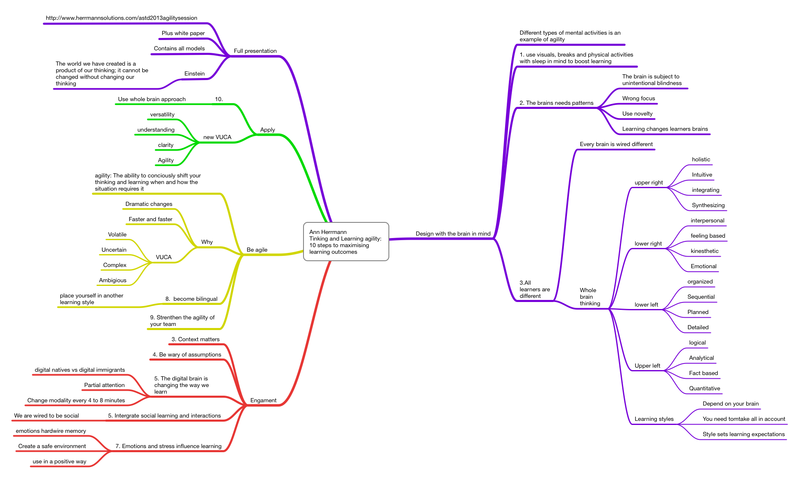 I made mind maps of both sessions (click to enlarge). I have to apologize upfront, there was so much information that I made some typos. Very interesting presentation on how the L&D department of Thompson handles the rapid changes we are are experiencing. Main points of her answer is: Connect to the business, use cutting edge technology. Very good presentation. 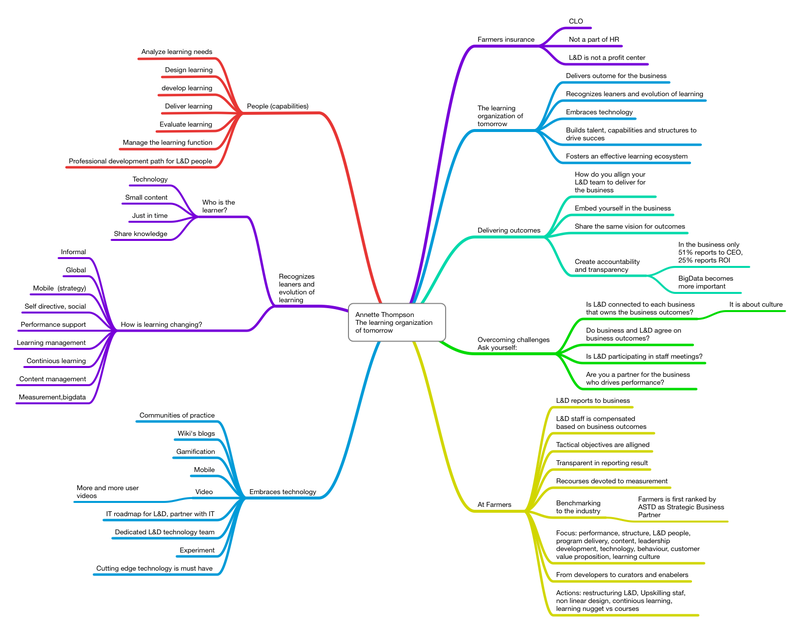 Ann Herrmann: Thinking and Learning agility: 10 steps to maximizing learning outcomes. This was probably the best presentation of the conference. She practiced what she was preaching. her main points. Take into account how the brain works when designing learning activities. She is an adept of the whole brain thinking; which means a lot for learning including learning styles. Her other big points are Engagement and Agility. Loved it. You can download the full presentation and a white paper with all the models she used, I recommend it.